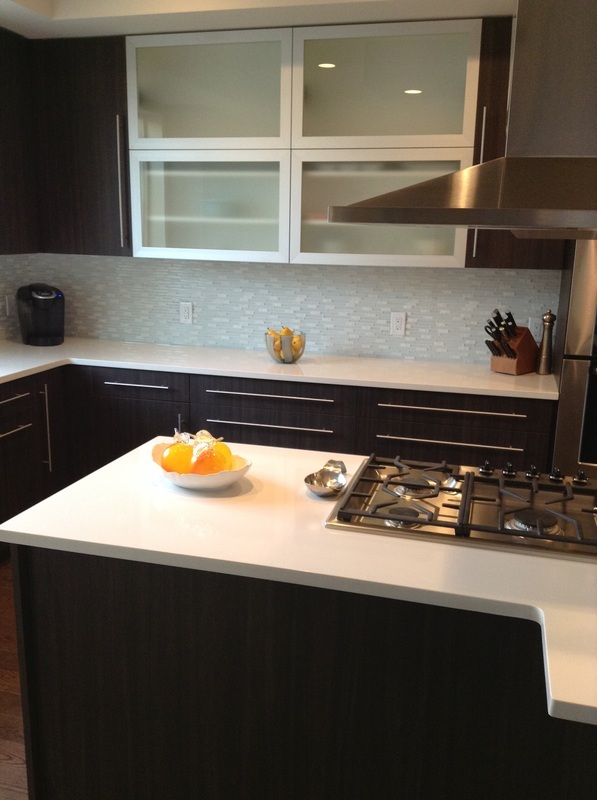 Above: The cornice boards give the living room & kitchen a very contemporary look. 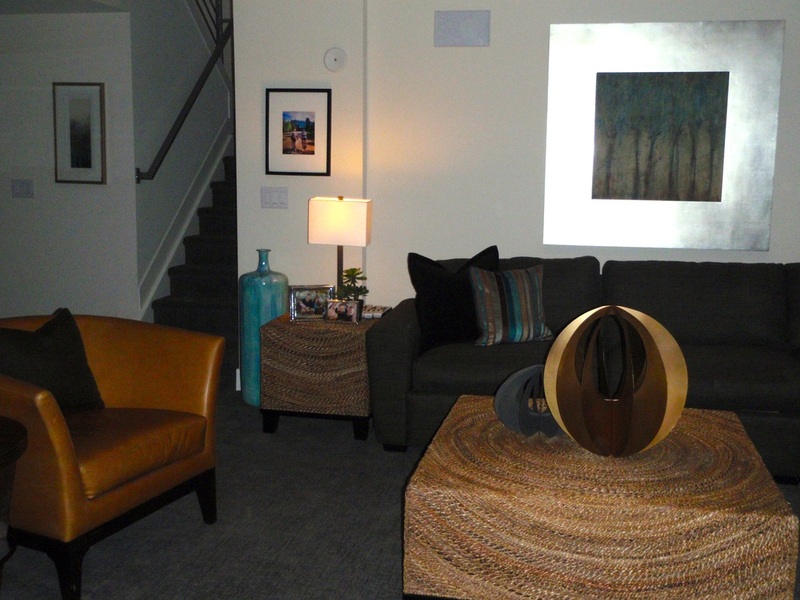 The geometric pattern continues the color story throughout the main level and is a great accent to the space. 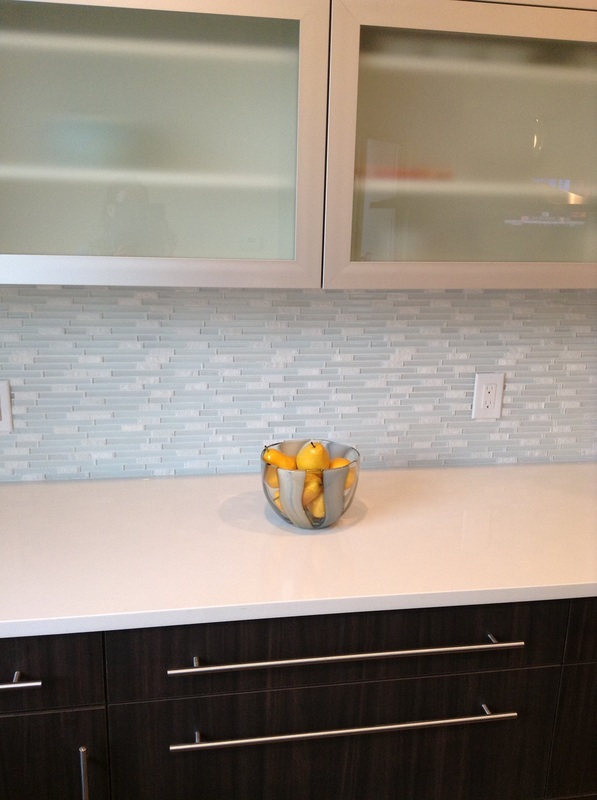 Above & Below: An orchid, glass fruit & calla lilies in a horizontal vase are nice additions to the kitchen. 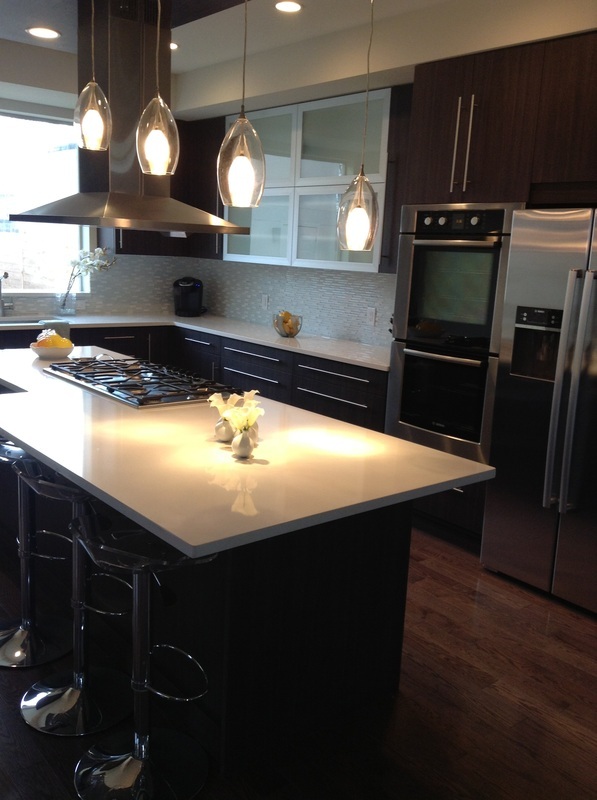 Lucite barstools & glass pendants allow the light to shine through & compliment the kitchen's sleek lines. 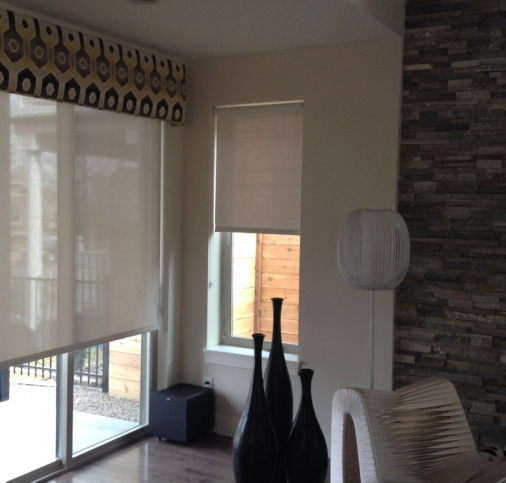 Above & Below: The living room stays neutral with hues of gray & cream with an added pop of yellow. 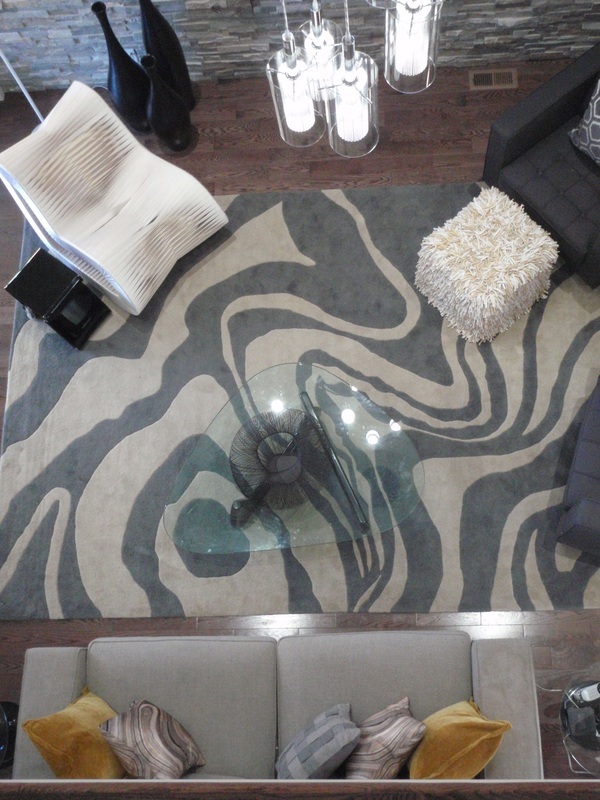 Mixing the Geo rug and malachite silk pillows brings an artistic & Colorado feel to the home. 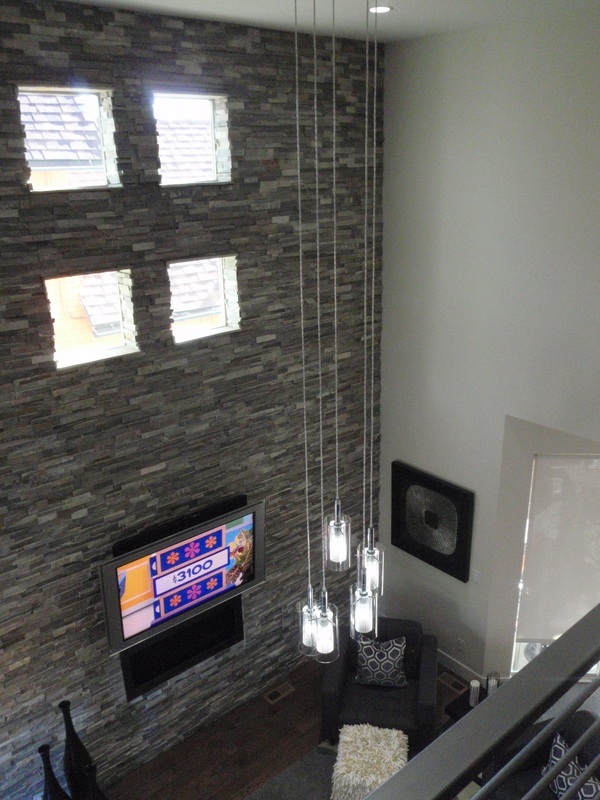 A beautiful 5 cylinder chandelier hangs from the vaulted ceiling. 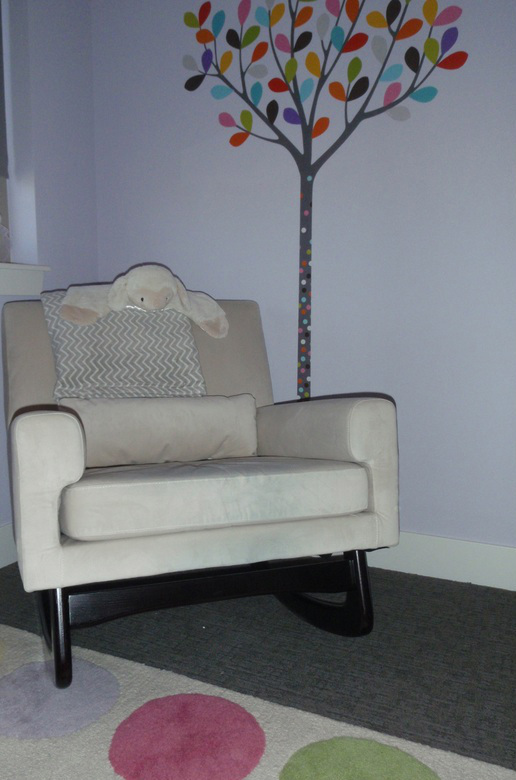 A Phillips Collection seatbelt chair & Moe's Home Collection white cylinder lamp add artistic interest to the room. 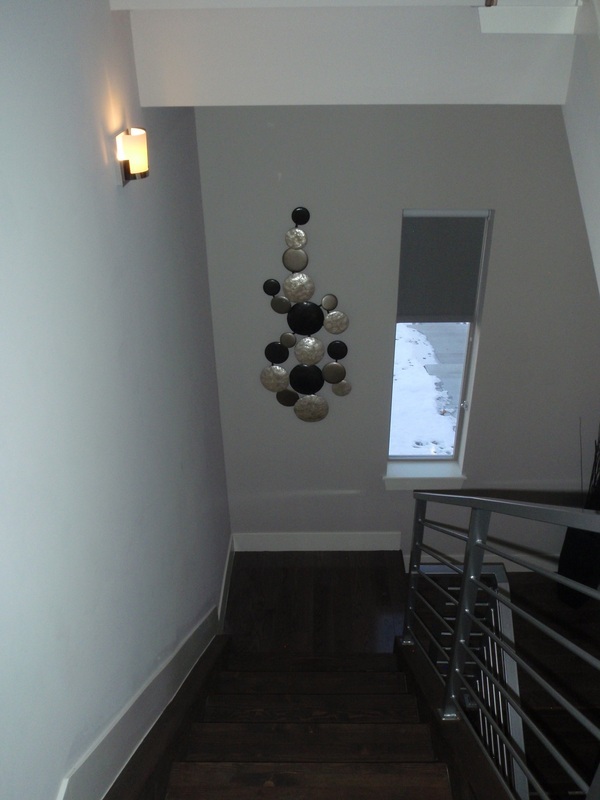 Above: Moe's Home Collection sculpture hangs in of the stairwells. 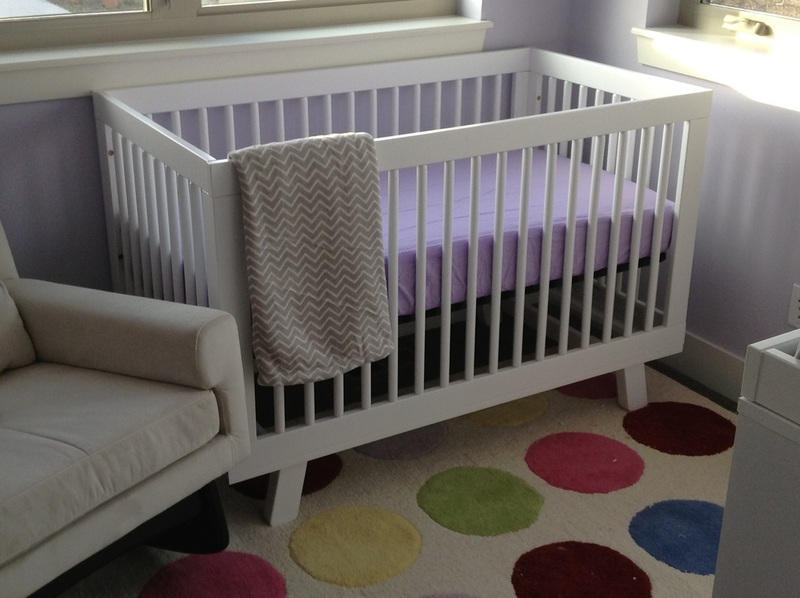 Below: Wall decals in the nursery are an inexpensive & fun way to add character to the room. 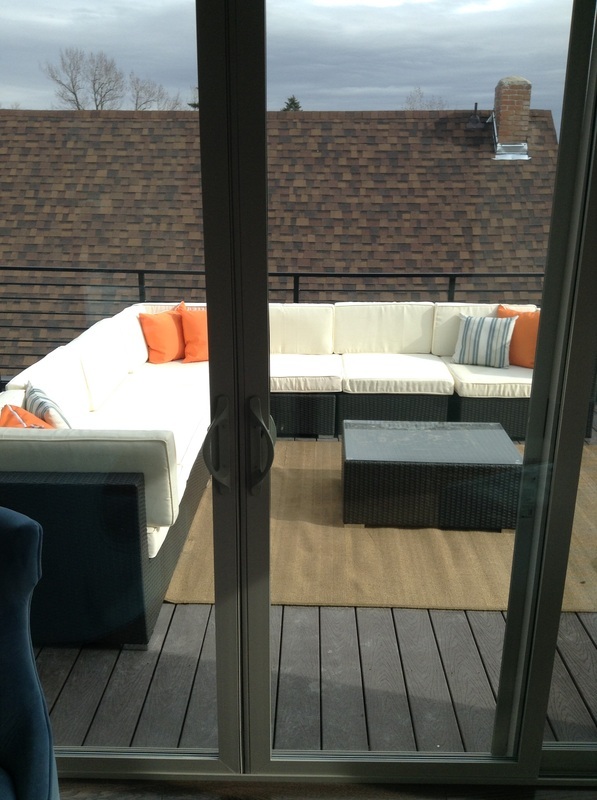 Above: This large outdoor terrace was designed to entertain. 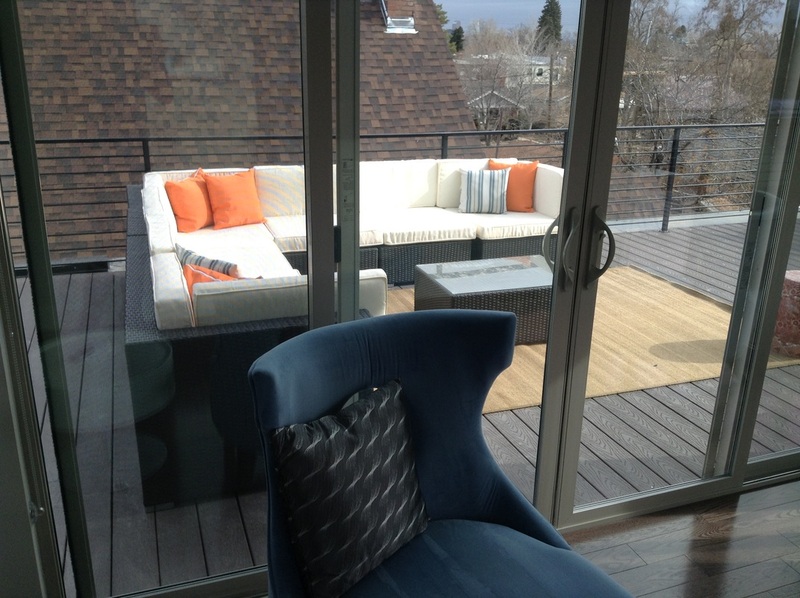 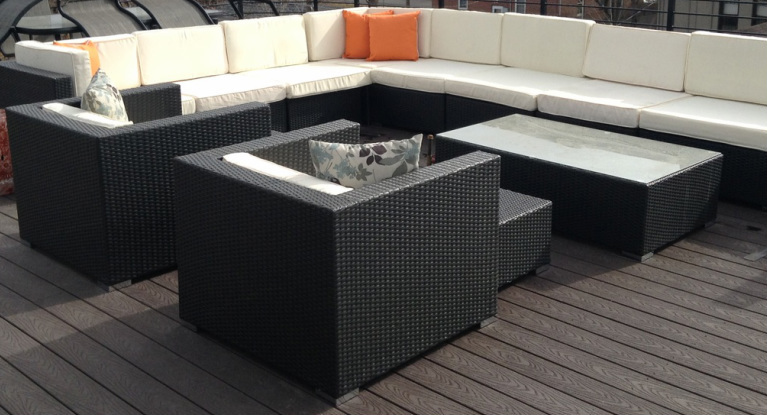 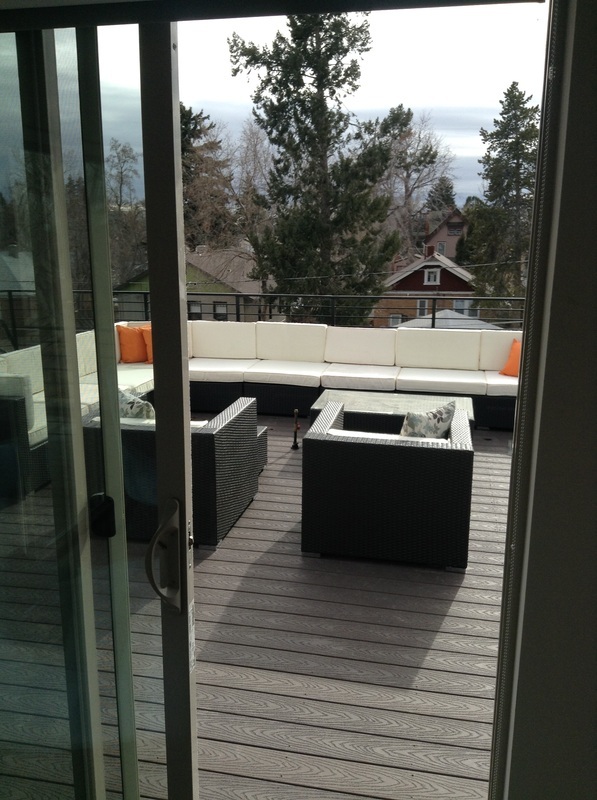 With 2 large interchangeable sectional sofas & 2 large deep set chairs, this terrace can house any party. 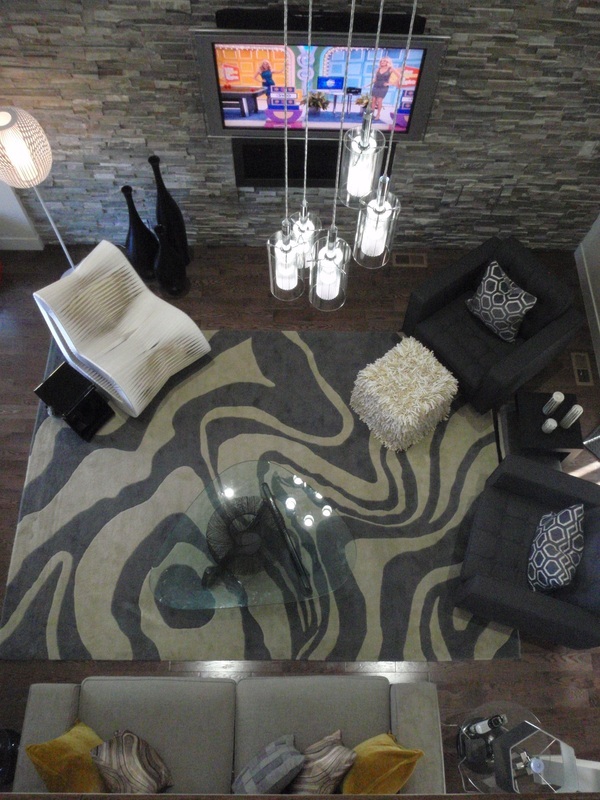 Indoors is a large flat screen TV viewable through the glass doors from the sectionals to enjoy any sporting event.